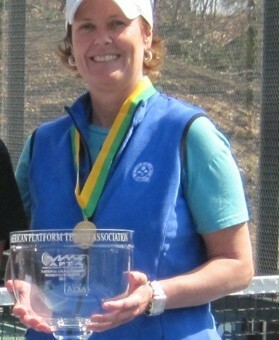 From 1996 to 2012 Cynthia Ann (Cindy) Prendergast won four Women's, three Mixed and one Women's 40+ titles, with her last Women's title coming at the age of 50. Few players in the game have had the ability to play with so many different partners and have the success that she had, and that is what made her so special as a partner and player. Few players in the game had the ability to play with so many different partners and have the success that Cynthia Ann “Cindy” Prendergast had, and that is what made her so special as a partner and player. Her first National championship came in the Mixed Nationals with George Zink in 1996, and they won again in 1998 and 2001. Her six-year partnership with Patty Hogan, from 1996 to 2002, resulted in six straight appearances in the Women’s Nationals final and was highlighted by their undefeated season and Women’s National’s win in 1999. Prendergast again won the Women’s Nationals, with Lauren Zink, in 2008, 2011 and 2012, giving her four wins in 14 finals appearances during the period from 1994 to 2012. Cindy was a finalist in the Mixed Nationals in 2004 and 2008. On entering the “Senior” ranks, she won the Women’s 40+ Nationals with Robin Fulton in 2002. Prendergast served on dozens of tournament committees over her long playing career, including being a major force behind the only Mixed Nationals played in her home state of Delaware. She even undertook a trip to Germany to introduce platform tennis to a very enthusiastic tennis playing community. Prendergast grew up in Wilmington, DE, and was one of five children. Her biography, posted on the web site of the Delaware Tennis Hall of Fame, into which she was inducted in 2005, notes that she was a tennis player born into a family of golfers, and also the only girl. In 1971 she picked up a racquet, walked across her street and for no apparent reason took a tennis clinic. As she recalls: “I don’t know exactly why I took the clinic. I guess it was just something for a ten-year-old to do.” As a student at Brandywine High School, Cindy helped lead the tennis team to three state titles. Some years later she went on to Gettysburg College where she majored in business administration and teamed up with Cindy Cross to amass a 30-3 record and lead the Lady Bullets to an undefeated season and the Middle Atlantic Conference title in 1983, which earned the team an invitation to the national championships. That year Cindy, who had been the number one singles player since her freshman year, had an undefeated season, and she and Cross went 10-1 at number one doubles. Always feeling compelled to give back to the sport that had given so much to her, Cindy was a tournament director’s dream, available on call to fill a spot in an event, even if it meant she might be done by lunchtime. 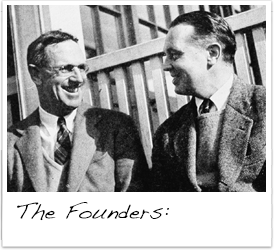 Prendergast understood that playing with a tournament sponsor’s friend was just as important as finding a ringer to try to win a National event. She loved to play and was always willing to do whatever it took to make an event a success. Prendergast started her own business, Stamford Screen Printing, in 1994. It is no surprise that she runs her highly successful and competitive business with the same skill and determination she has put into her sports. Cindy is also active in the community and was instrumental in starting the very successful Bunny Vosters Open, in memory of her doubles partner and great friend. She continues to live and play sports in Wilmington, Delaware. In true competitive spirit, never to be outdone by her father’s legacy or her brothers’ golf acumen, she plays to a 9 handicap and gives them a run for their money every chance she gets!